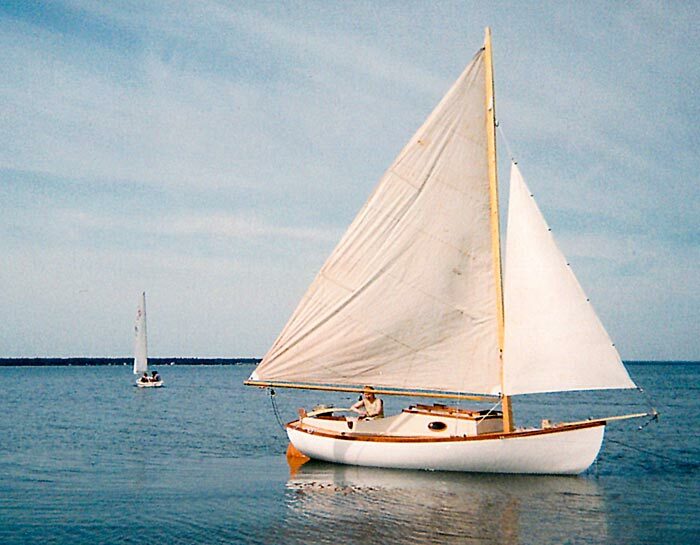 Rudy Robichaud spent four years building MEADOW BIRD, a 16' modified Titmouse design. Rudy writes that Sam Rabl did the original design, and Karl Stambaugh modified it for Gary F. Clements, who has plans available at GFC Boats, 490 Hagan Rd., Cape May Court House, NJ 08210. 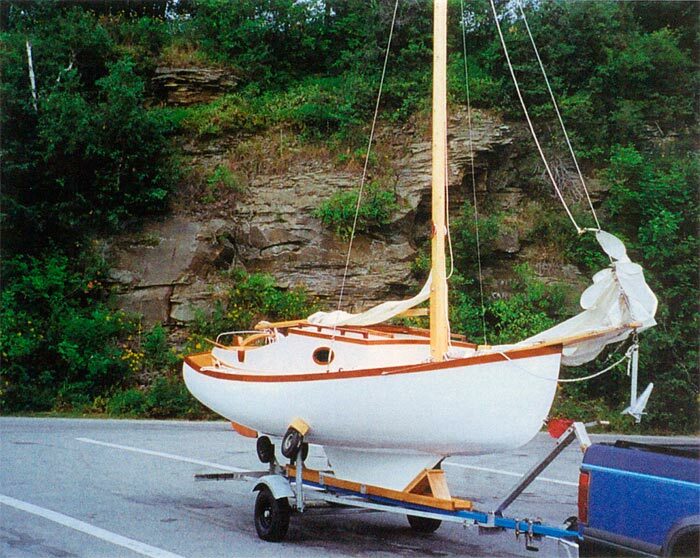 MEADOW BIRD carries a 140 sq ft of sail with a 300 lb lead keel. She is strip-built and covered with epoxy-saturated fiberglass cloth.